Indulge your senses while invigorating your skin! Chocolate Body Scrub contains Cocoa Butter to soften and protect your skin, Macadamia Nut Oil to help dry, aging skin, and Sweet Almond Oil to soothe irritated, sunburned skin. All of this plus the sweet smell of chocolate! Rich in Oligomer and marine salts. Trace elements essential for the vitality of the epidermis. Your skin will be infinitely softer, smoother and hydrated. Organic coffee grounds are used to help reduce the appearance of cellulite. This scrub contains Kokum Butter, which helps regenerate skin cells and restore elasticity, Avocado Oil to keep skin soft and smooth, Meadowfoam Oil helps skin retain moisture and Organic Shea Butter to help dry aging skin and repair cellular degeneration. Delicious Milk & Honey body scrub instantly makes your skin soft, smooth, healthy, glowing and vibrant. Organic rosehip and apricot oils deeply moisturize and nourish. Delicious, juicy concoction of organic Blood Oranges, anti-aging antioxidants and vitamins, moisturizing fruit oils and skin brightening berries to repair and nourish for soft, glowing skin. Exhilarating, pure Blood Orange essential oil refreshes and uplifts spirits. Aromatherapy with relaxing lavender + rosewood essential oils. Relaxes the Senses + Soothes the Skin. Our unique Relaxing blend of essential oils helps calm your senses as flower petals and sugar gently exfoliate and smooth your skin. 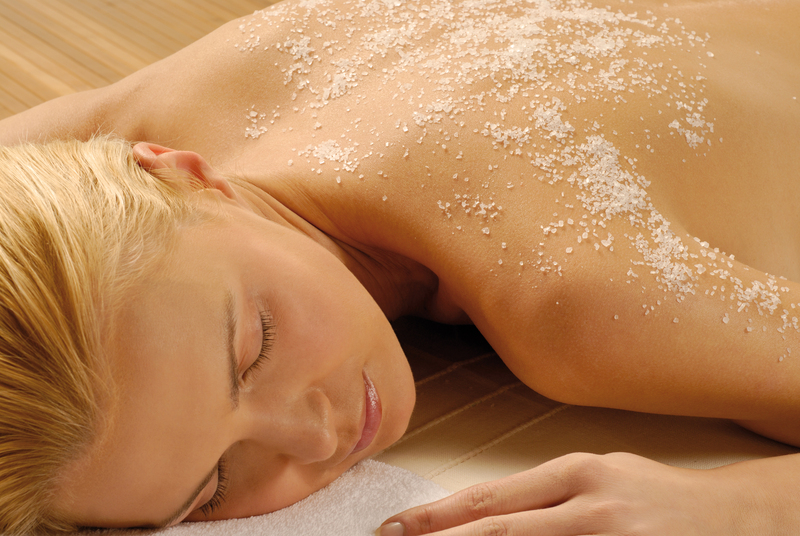 A sugar body scrub formulated to exfoliate, boost cell turnover and enhance skin renewal. Muscovado and Demerara Cane Sugars combine with extracts of Paraguay Tea, Kola Nut, Ginger and Gingenosides from Ginseng to energize and boost micro-circulation and awake the senses.